What do we know about Christopher Nolan's next movie? Not much. It'll be shot in IMAX, open on July 18th 2020, and still has no title. Even the previous "Inception meets North by Northwest" descriptor has been shot down. 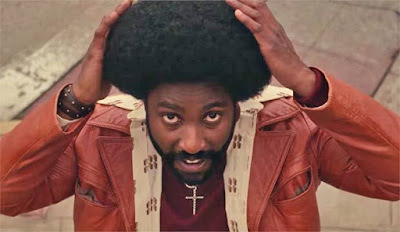 But what we do know is that it'll star John David Washington, the son of Denzel who is forging a pretty impressive career of his own. Okay, thanks for that. Anyway, Washington started to step out of his daddy's shoes with his recurring role on HBO's Ballers, but with the aforementioned films from last year he really took it up a notch. Working with someone like Nolan can only take things further. Filming begins later this year.